My elderly boyfriend celebrated a milestone birthday at the weekend, and we each planned different events that reflected our personalities. I booked a classy, intimate dinner. He organised a day at a theme park. Of course, both events were completely delightful and as always, we were united in one thing: our love of food. 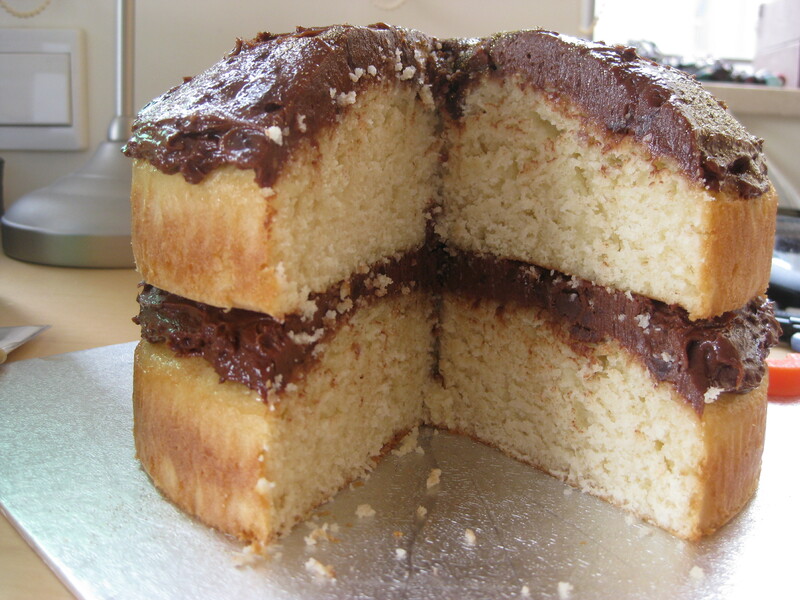 I marked the occasion, as I do most occasions, with baked goods, this time opting for a coconut sandwich cake with chocolate buttercream It’s such a delicious cake – using coconut milk helps to keep the sponge really moist and tasty, and the chocolate buttercream complements it so well. It does taste just like a Bounty bar in cake form, which can only be a good thing! 1. Grease and line 2 20cm cake tins and preheat the oven to 170C. 2. 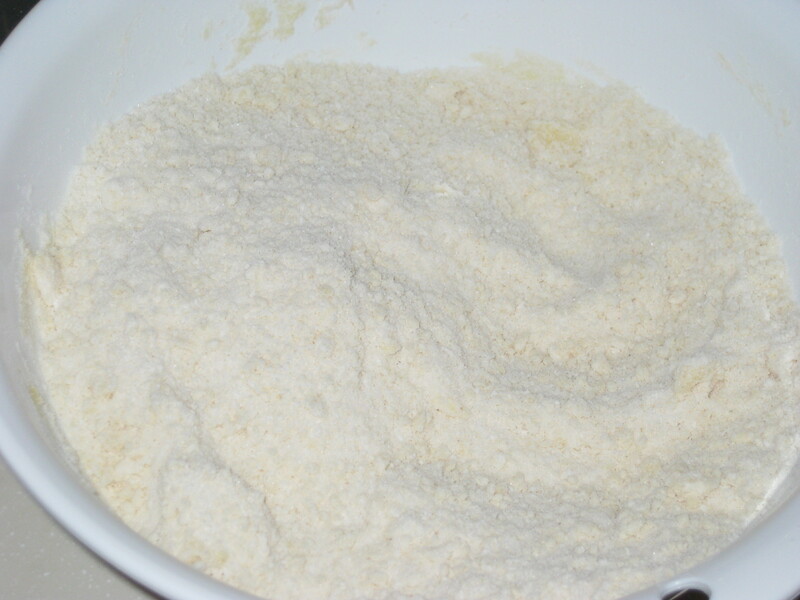 In a large bowl mix together the dry ingredients (butter-salt in the list above) – this can be done with an electric mixer of with your muscles! It’s really important that the butter has been sitting out for a while so it’s soft enough to mix in, otherwise this will be a bit of a mammoth task. 3. In a large jug, beat together the wet ingredients – eggs, coconut milk and whole milk. Pour the liquid into the bowl and beat well to combine. 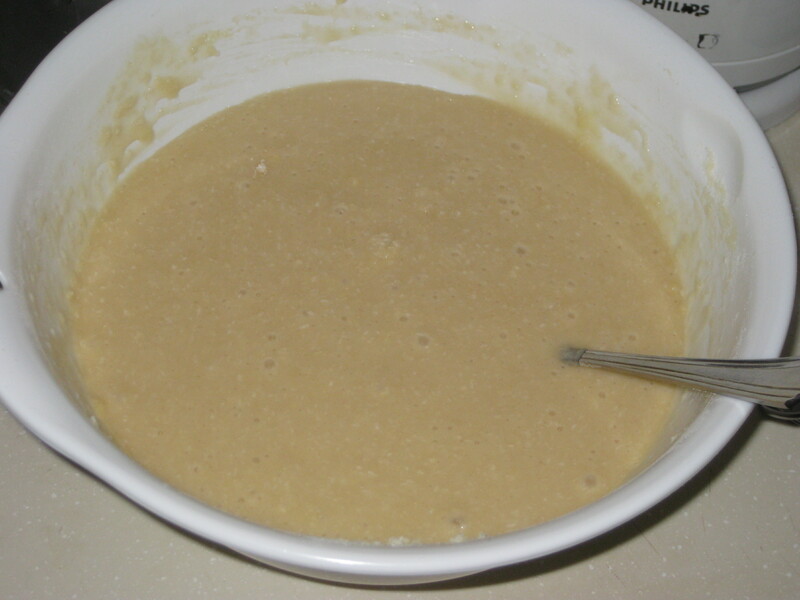 Really make sure you incorporate all the dry floury mixture from the bottom of the bowl too. 4. 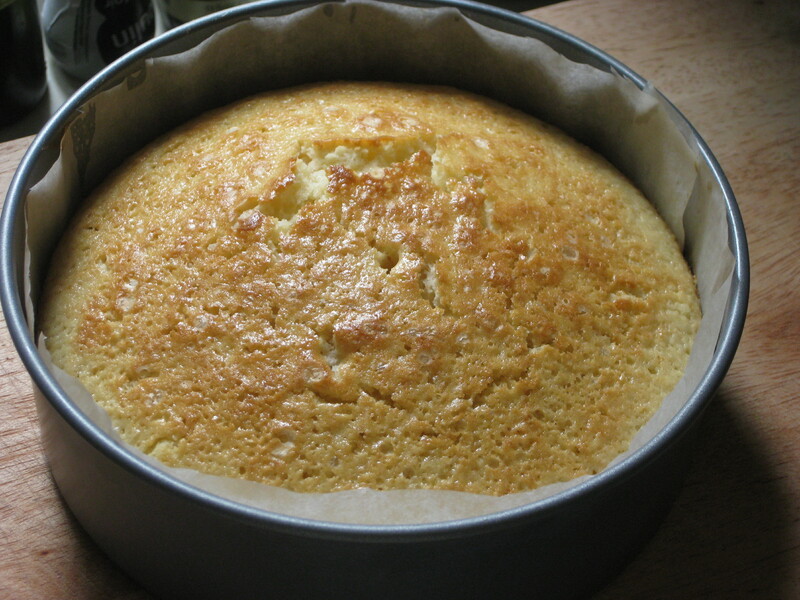 Divide the mixture between the tins – I weigh the mixture to try and ensure the cakes are even. Bake for 30-40mins until the top is golden brown and a skewer comes out clean. 5. 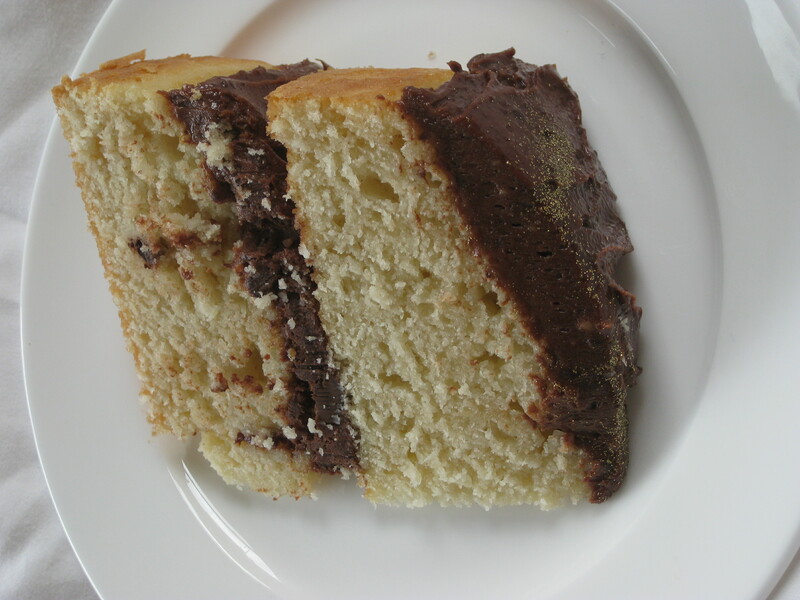 When the cake is cooled, whip up some chocolate buttercream (from Primrose Bakery): beat together 225g unsalted butter, at room temperature, 1 tbsp milk, 1 tsp vanilla extract and 250g sifted icing sugar – again, it’s really important that the butter is softened and the sugar is sifted. Then melt 175g dark chocolate (70% cocoa content) and beat it in. 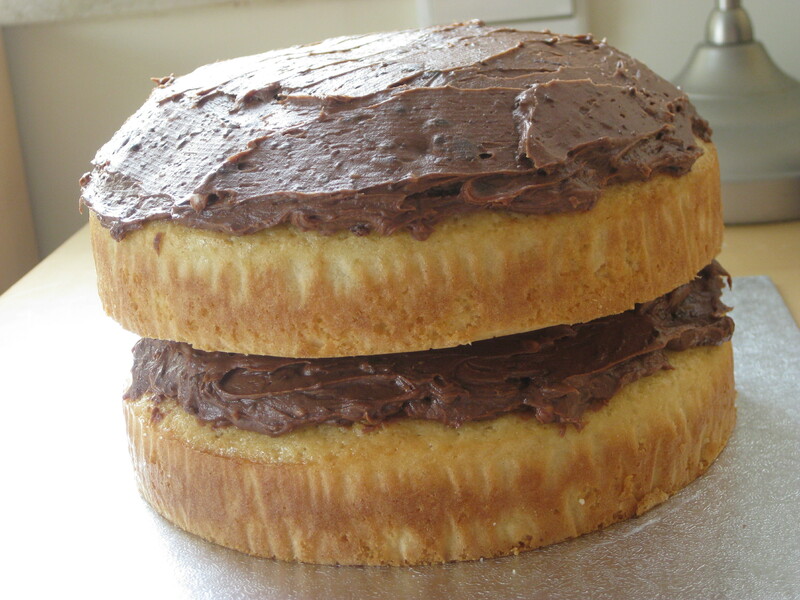 Use about half of the buttercream to sandwich the two sponges together, and spread the other half on the top cake. 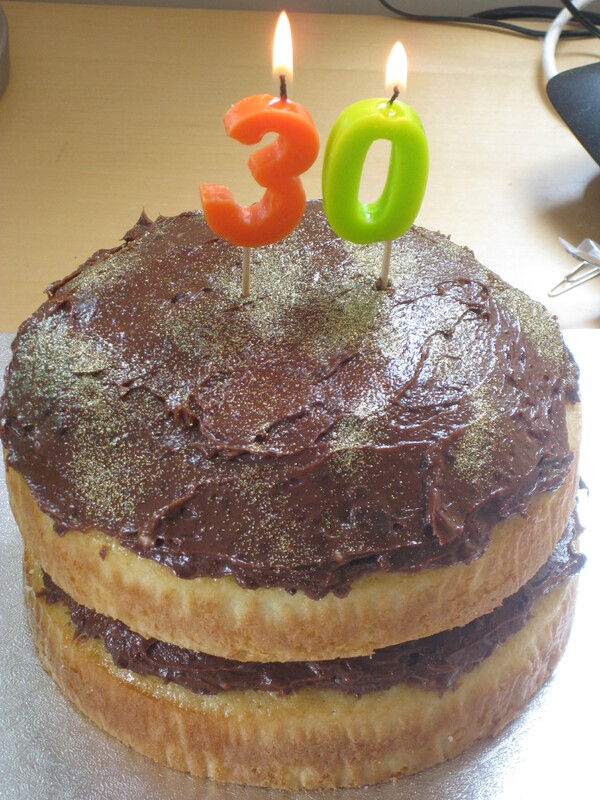 I sprinkled mine with edible gold glitter too, to give it that special birthday shine! 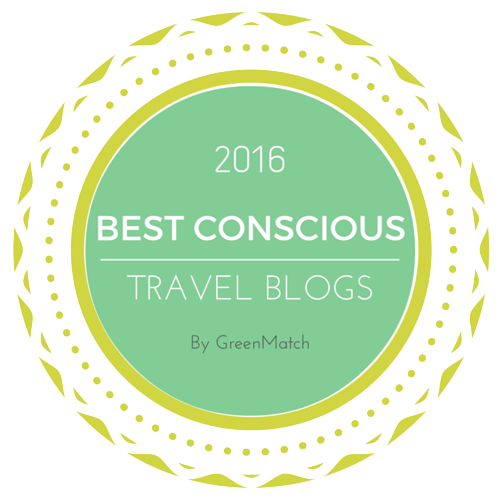 This entry was posted in Vegetarian Recipes and tagged birthday cake, Bounty Bar cake, coconut cake. Bookmark the permalink.